Half-length portrait of David Rodney Roger Heath-Brown looking off to the right as viewed. Taken in his office at the Mathematical Institute, University of Oxford, June 2017. 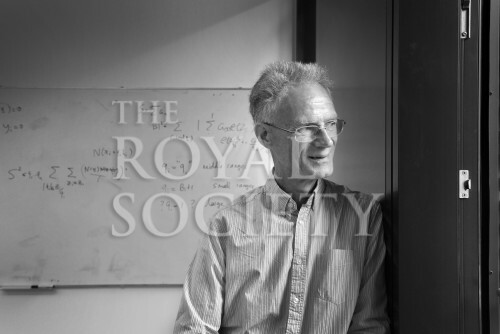 David Rodney Roger Heath-Brown is a British mathematician, he was elected a Fellow of the Royal Society in 1993.